02.05.2015. Nottingham, England. Skybet Championship. Nottingham Forest versus Cardiff. 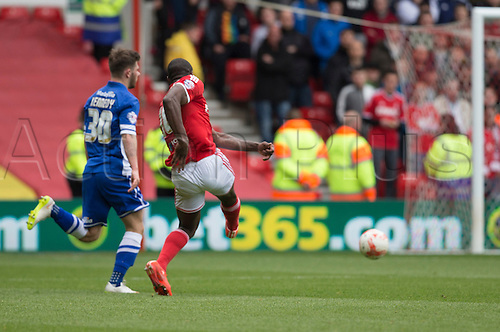 Nottingham Forest midfielder Michail Antonio takes a shot at goal.